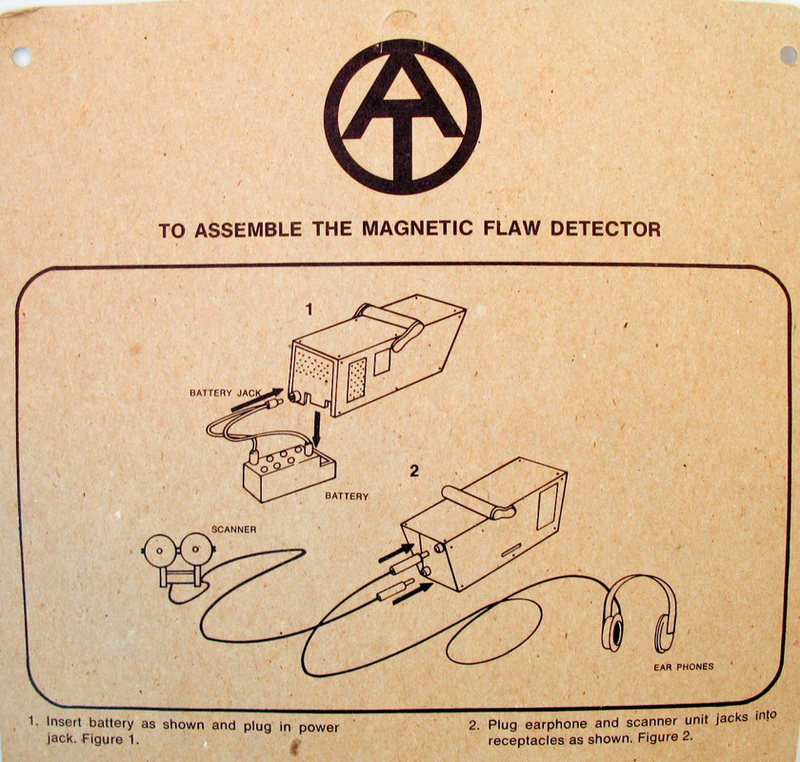 A piece of classic Adventure Team gizmology, the Magnetic Flaw Detector (7319-2) does something really... scientific. It's unclear what exactly a magnetic flaw is, and why one would want to detect it, or maybe it uses magnetism to spot flaws in things (bridge pilings? mountains? dish ware?). No one but the Adventure Team Knows for sure! The set was later reused in the 1975 Danger Ray Detection set, in Revenge of the Spy Shark and the Mike Power Special Assignment set.